A Halfelven Sharpslinger is a trained unit in platoons, serving heavy active field-duty. He is the swiftest and most effective of all the hasmonaim army units. Armed with leather armour, a hardened aluminium-bronze kopesh sword and a precision sling, he is a serious defender of the line. 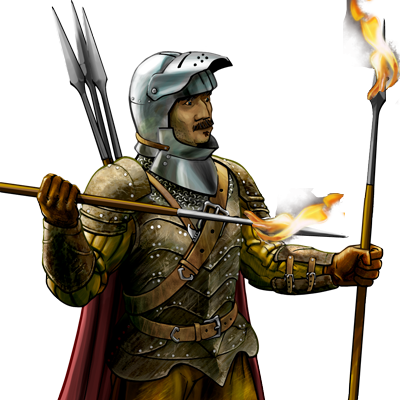 He is part of the backbone of one of the best armies in Wesnoth.